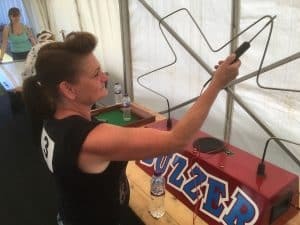 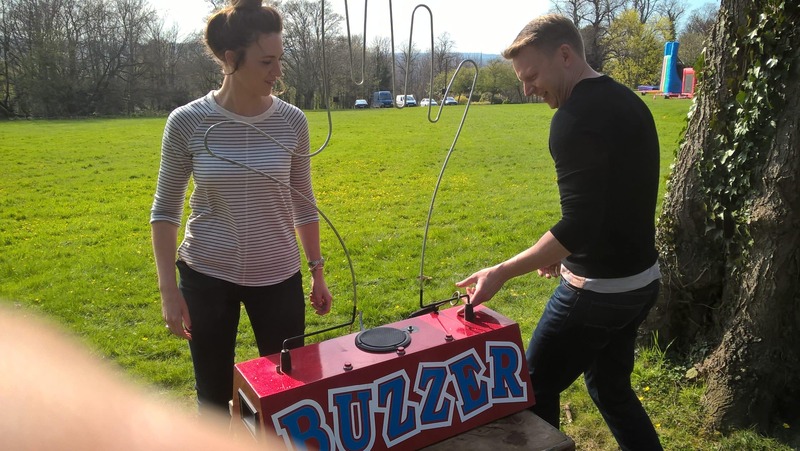 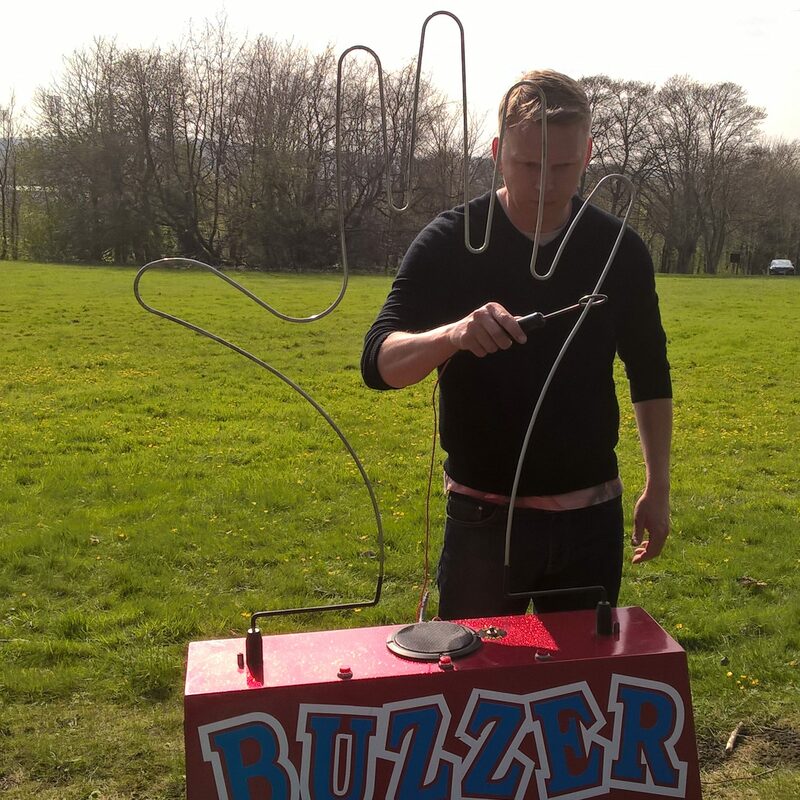 The Giant Buzz Wire is the classic game that requires nerves of steel and a stone cold steady hand to negotiate the electrified wire. 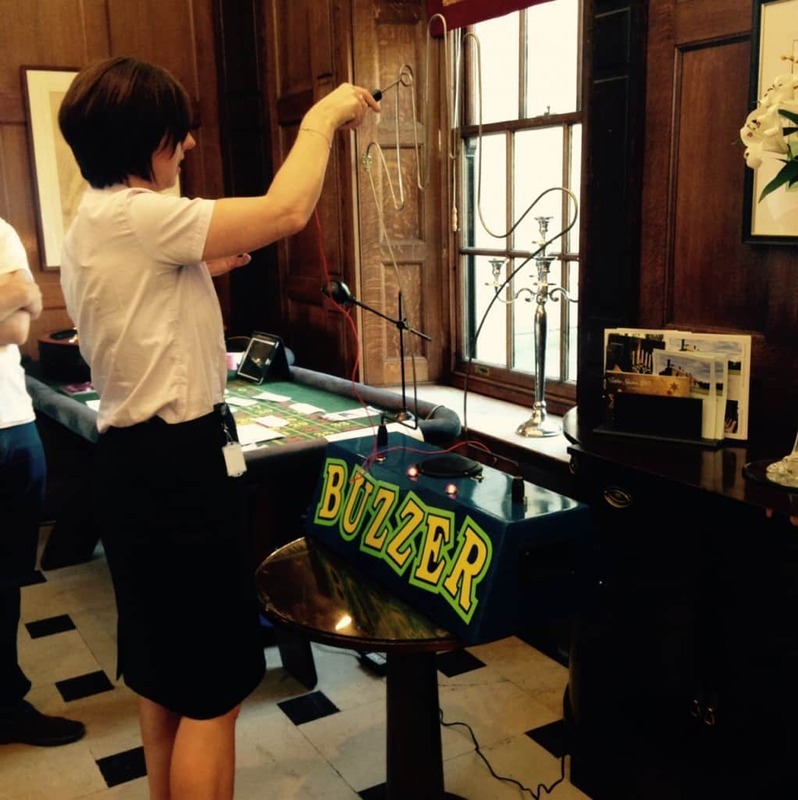 3 lives and you are out… with the countdown clock ticking away it puts the pressure on the individual. 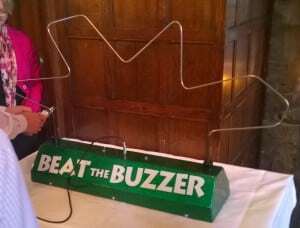 We have multiple Buzz Wires available, so if you would like a head to head competition, we can provide this too! 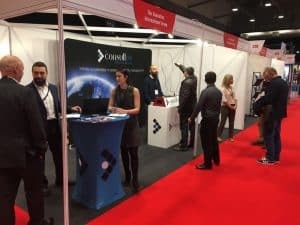 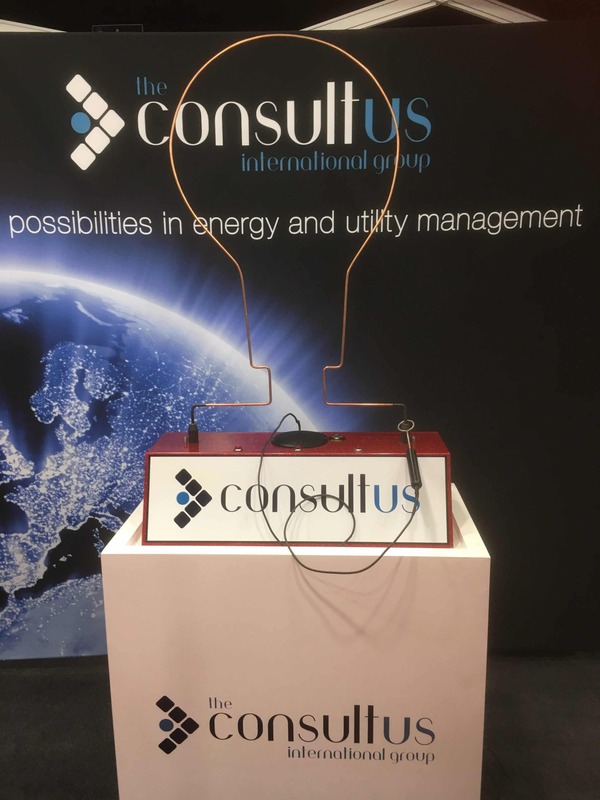 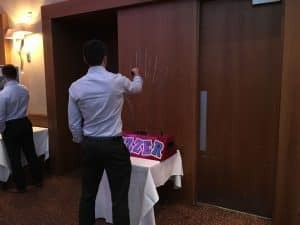 Our Giant Buzz Wires can be personalised to your individual requirements too, you can choose the pattern of the wire to incorporate a image you desire or initials of the company, your company logo can also go on the base of the Buzzer, making it the perfect Exhibition or Trade Show entertainment.